I was upstairs on my computer when a light in the corner of my eye caught my attention. 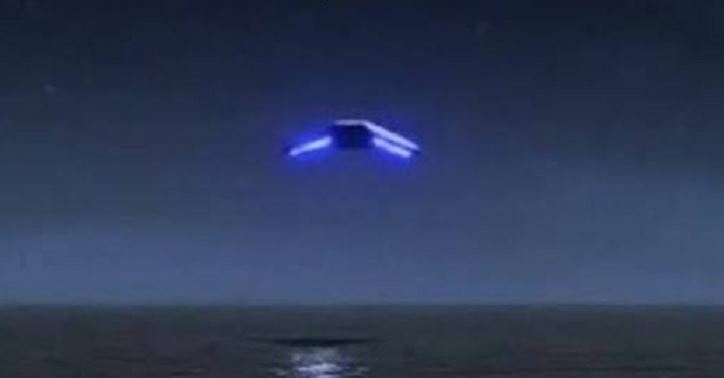 I immediately thought the object was a drone however it moved at such a speed and potentially produced a jet-like sound. I then believed it to be an aircraft which was unusual being it was so low in altitude as it was and visible in-front of the nearby hills. 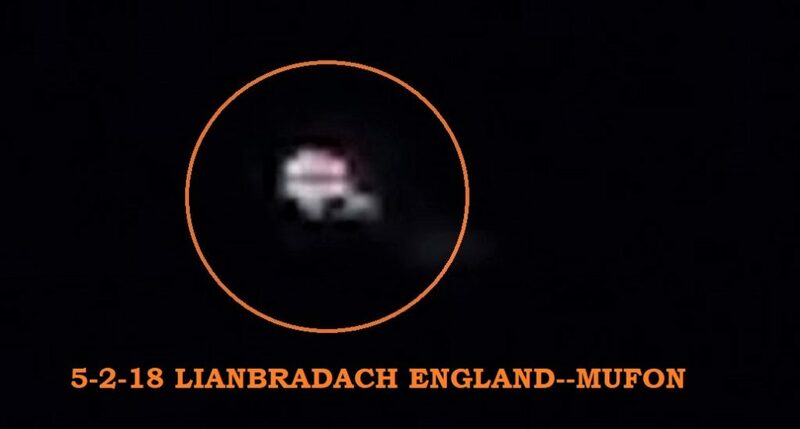 The object had exceptionally bright lights, too bright to be a drone and stood out well near streetlights and stars. I have seen drones in this area and it definitely was not one. They seem star-like in comparison. There was one red and one green static light with a white strobe and white static lights. I do not believe it to be an aircraft for it’s speed, altitude, direction change and that all lights were visible from all directions. It changed speed from west to south very rapidly which mimics the shape of the valley (although valley is half a mile wide). It then continued on until the end of the valley approx 1.5-2 miles long. I only managed to get one picture since it was only visible for 8-10 seconds maximum and still managed to cover the length of the valley. The sound may have not been from this object as the area contains a flight path. I checked flight radar 24 and the only nearby aircraft was Airbus cruising as 23000ft. I do not believe it to be a drone as it was completely static in angle while turning and again moved at quite a speed. Even with having my phone near by and having a camera shortcut enabled, I was only able to capture 1 photo as it had moved out of range within that time. My immediate reaction was shock as the combination of lights and speed was quite surprising in the dark of night. I almost immediately grabbed my phone and turned on the camera through a shake shortcut and took a photo. By time I could take one, the object was almost out of visible range for my eyes. I lost sight of the object after it went behind the hill at the south end of the valley. I was told there was to be a meteor shower visible from Brisbane best between 3 and 3.30 in the morning so I set my camera on a tripod in the yard and aimed NE with my telephoto lens settings for shotting at night no lighting except the sky and over five shots 30 second exposure so two and a half minutes these orbs remained in the same spot but moved to form different shapes from large glob like all together to a streched out horizontal line with a vertical line at the end with a slight lean and four orbs spced along the bottom. They are clearly visible and a better view when zoom in. I believe they were stationary as you can see the light from stars blur with the exposure time and earth orbit but the orbs don’t. As in the subject. In short, it looked like this. We entered a wood pulpit, a friend from the bottom took pictures. We felt strange vibrations and sounds at the same time. A friend from the bottom started to turn around because he heard something behind him. Suddenly, we all noticed a strange light and vibrations with the whole pulpit moving as it would have to blow down. 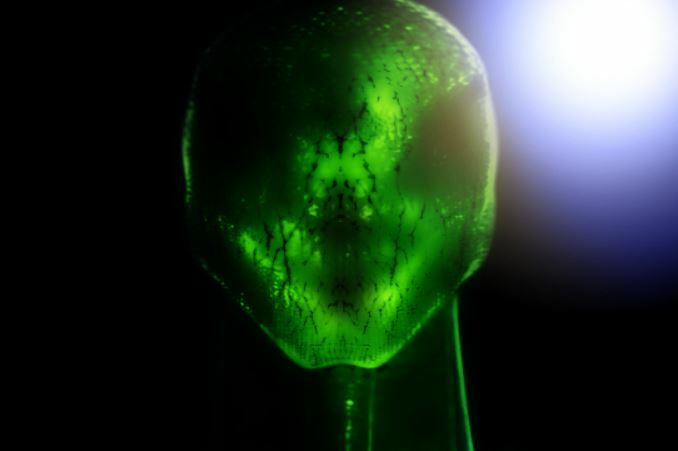 Friend from the bottom, he said that he saw the object in 10 seconds, he appeared and just as quickly after these lights he shot up. When the lights appeared, a friend from the top recorded a movie. After playing it after the whole situation, the sound seemed to be played in water, very distorted. We all felt very weak while broadcasting this light and after that. 15 years ago I had similar situations, but I will not mention it here. Time between 9.50 pm and 10 pm. I went out on step to smoke a cigarette. I’m hard of hearing. I can hear most aircraft. I heard a loud, “Whoosh” it made me look up and as soon as I did, a large white craft past over me and went straight past the house across from me. I stood there amazed that this thing made no sound ..only the displacement of air sound, “whoosh”. Smooth surface, no markings, no lights, no, it was not a helicopter so forget that! NO WINGS!!!. I saw it and as much as I pretty much believe Earth probably had visiters from someplace else…I’ve never been a UFO crazy. No offense…I can tell you one thing after seeing this…there’s no way in hell it was ours!!! I can draw what I saw closest I can get explaining without drawing is if you look at the end of a Comcast channel control, the rounded edges rectangular shape but this got a little slimmer towards the front. I never saw the nose of the craft, but it was big enough to see all the other things I described. I mouthed the words, WTH was that!! Came in house at 10:03pm.i still can’t believe that I have no proof and I know what I saw and again. I have no doubts now about E.T. Bottom line,…they are real and they are here. NOTE: The above image is CGI. I was talking to my Wife on my cell phone, reassuring her that we were safe and near our destination (we had passed a road sign stating Clifton Forge exit would be coming up next – once we enter Douthat Park cell service is spotty at best). Suddenly a brilliant white (transitioning to flame orange) vertical bolt of light appeared momentarily in the sky ahead of us, originating high in the atmosphere and terminating below the tree line on the left side of the highway. Although it originated high in the sky like lightning, the bolt of light had no other similarity to lightning. The bolt of light was a single linear streak that transitioned from brilliant white light high in sky to partial flame orange approximately half way down and all-flame orange at lower leading edge. (My Son saw a “lick” of flame on leading edge – I I was talking to my Wife on my cell phone, reassuring her that we were safe and near our destination (we had passed a road sign stating Clifton Forge exit would be coming up next – once we enter Douthat Park cell service is spotty at best). Suddenly a brilliant white (transitioning to flame orange) vertical bolt of light appeared momentarily in the sky ahead of us, originating high in the atmosphere and terminating below the tree line on the left side of the highway. Although it originated high in the sky like lightning, the bolt of light had no other similarity to lightning. 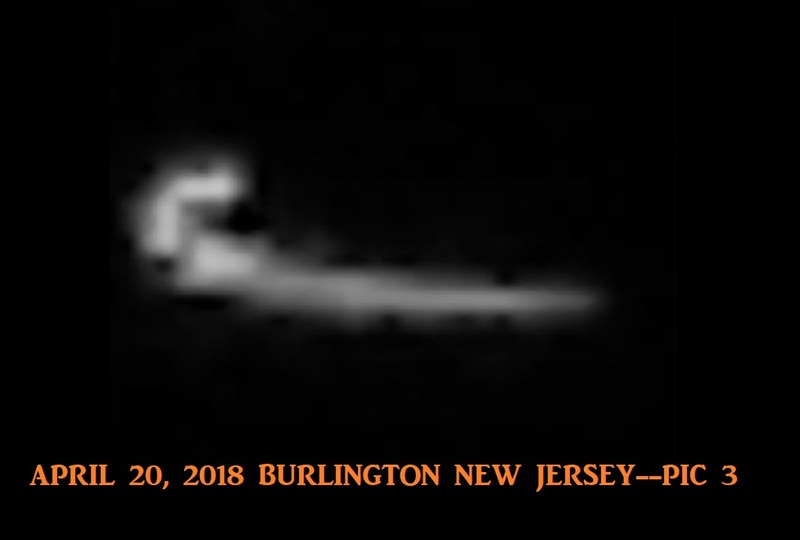 The bolt of light was a single linear streak that transitioned from brilliant white light high in sky to partial flame orange approximately half way down and all-flame orange at lower leading edge. (My Son saw a “lick” of flame on leading edge – I did not discern that detail). Bolt of light just “hung” in the sky for approximately ¼ second – about the time it takes to say the word “one”. Although the “leading edge” had to have been traveling at hypersonic speed, there was no sonic boom, no explosion as you would expect from an object hurtling to the ground at those speeds. In fact there was no sound at all. As my Son and I struggled to explain what we had just seen (it was unlike any meteorite entry I had ever seen on video: It descended much, much faster; there was no visible smoke/contrail; and it had a nearly vertical descent), my Son subsequently noticed a strobing bright light crossing the highway ahead of us (from left to right) at approximately twice tree-top height. I was preoccupied describing our “bolt of light” sighting to my Wife on the cell and did not see the strobing light cross ahead. The “crossing” sighting occurred an estimated 45- 60 seconds after the “bolt of light” sighting. About 15-30 seconds later, as we continued to drive toward the location of the sightings, my Son exclaimed “It’s not a shooting star, it’s a UFO!” He slowed down as we drove by a large strobing ultra-bright “object of light” hovering at tree top height on the right side of road. The strobing object was roughly elliptical in shape, estimated at 10-15 feet along the horizontal axis. Unencumbered by driving, I stared at the object and was able to discern some dully lit branches with leaves within a few feet of the strobing object and thus was able to place it in close proximity to forest leading edge (object approximately 75-100 feet from our vehicle). Strangely, the light itself was as bright as welding arc (my Son is a welder and that was his comparison), yet the object did not illuminate anything more than a few feet away from it. The object strobed with an estimated periodicity of one strobe per one to two seconds. 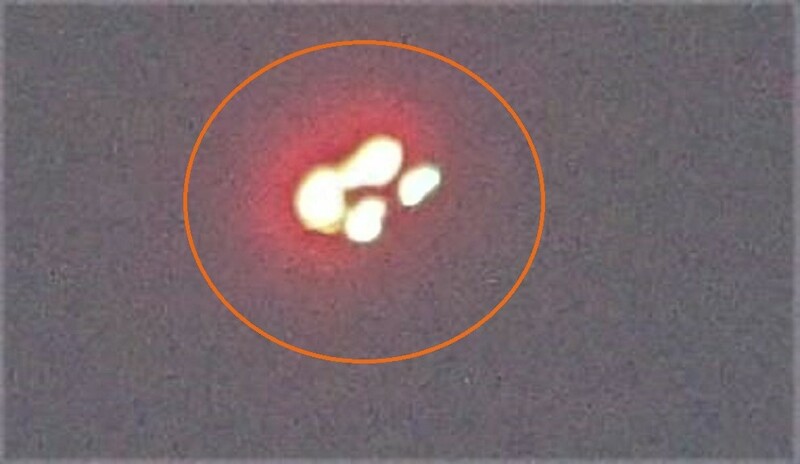 As we continued to drive by at reduced speed, we witnessed another strange phenomena – after the object strobed four times, a second illuminated object, identical to the first, appeared out of nowhere, simultaneously strobing in unison (for one beat) with the original object and then disappeared. The original object continued to strobe. As we drove away from the area of the sighting, my Son looked in the rear-view mirror, witnessed continued strobing, and said “It’s still there”. My Son hit the accelerator. did not discern that detail). Bolt of light just “hung” in the sky for approximately ¼ second – about the time it takes to say the word “one”. 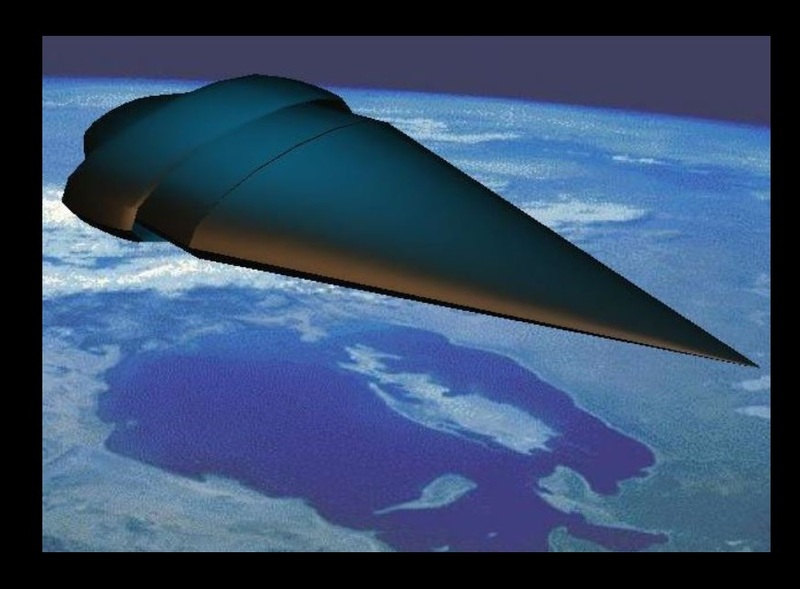 Although the “leading edge” had to have been traveling at hypersonic speed, there was no sonic boom, no explosion as you would expect from an object hurtling to the ground at those speeds. In fact there was no sound at all. 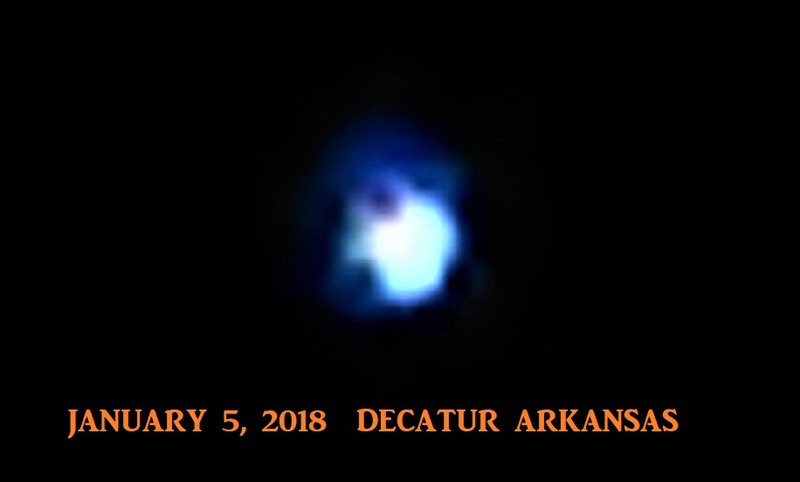 As my Son and I struggled to explain what we had just seen (it was unlike any meteorite entry I had ever seen on video: It descended much, much faster; there was no visible smoke/contrail; and it had a nearly vertical descent), my Son subsequently noticed a strobing bright light crossing the highway ahead of us (from left to right) at approximately twice tree-top height. I was preoccupied describing our “bolt of light” sighting to my Wife on the cell and did not see the strobing light cross ahead. 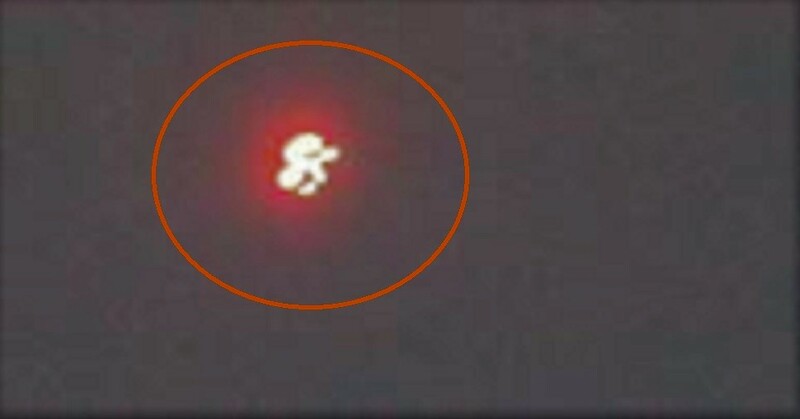 The “crossing” sighting occurred an estimated 45- 60 seconds after the “bolt of light” sighting. About 15-30 seconds later, as we continued to drive toward the location of the sightings, my Son exclaimed “It’s not a shooting star, it’s a UFO!” He slowed down as we drove by a large strobing ultra-bright “object of light” hovering at tree top height on the right side of road. The strobing object was roughly elliptical in shape, estimated at 10-15 feet along the horizontal axis. Unencumbered by driving, I stared at the object and was able to discern some dully lit branches with leaves within a few feet of the strobing object and thus was able to place it in close proximity to forest leading edge (object approximately 75-100 feet from our vehicle). Strangely, the light itself was as bright as welding arc (my Son is a welder and that was his comparison), yet the object did not illuminate anything more than a few feet away from it. The object strobed with an estimated periodicity of one strobe per one to two seconds. 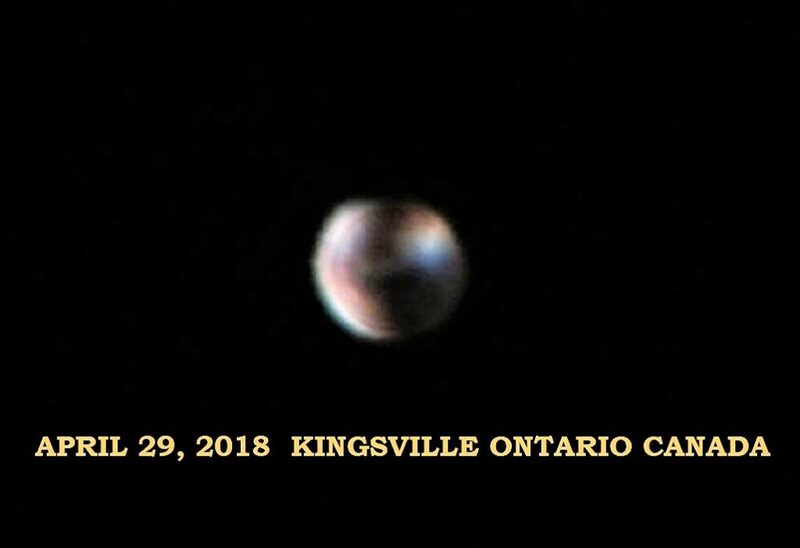 As we continued to drive by at reduced speed, we witnessed another strange phenomena – after the object strobed four times, a second illuminated object, identical to the first, appeared out of nowhere, simultaneously strobing in unison (for one beat) with the original object and then disappeared. The original object continued to strobe. As we drove away from the area of the sighting, my Son looked in the rear-view mirror, witnessed continued strobing, and said “It’s still there”. My Son hit the accelerator. NOTE: The above image is CGI. Back in 1956, when the two nuclear superpowers, the United States and the Union of Soviet Socialist Republics, were vying one with another for political hegemony among the nonaligned countries of the world, a lone Boeing B-47 Sratojet Bomber took off from MacDill Air Force Base, about four miles outside of Tampa, Florida, bound for the Ben Guerir Air Base in Morocco, a nation in northwest Africa. En route to Morocco, and during the last leg of a long flight, the bomber was scheduled for some refuels from an airborne tanker deployed out over the Mediterranean Sea. 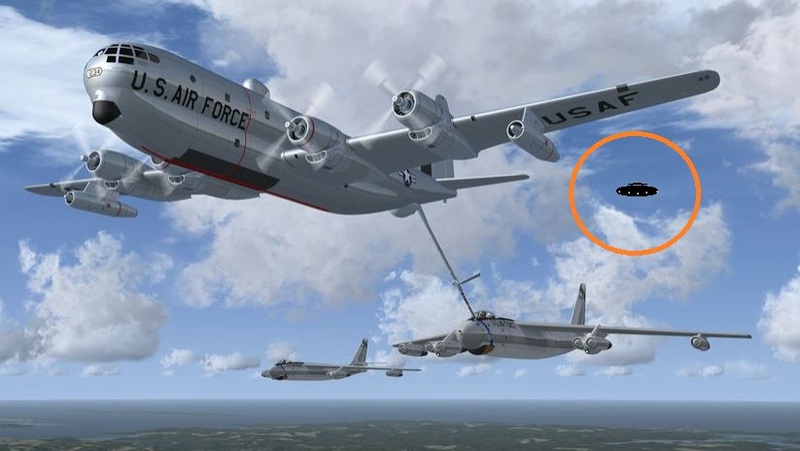 However, after its successful first refueling, the aircraft descended through a thick cloud bank to initiate its second refueling at an altitude of 14,000 feet. The Stratojet, however, never made contact with the tanker for the second refuel. In fact, it went completely off the communications and radar grids. Despite intensive Air Force and North Atlantic Treaty Organization searches and investigations, neither hide nor hair of the aircraft ever turned up. There were two nuclear payloads aboard that bomber, so the disappearance of the aircraft along with its highly trained and specialized crew has remained one of the most worrisome cases on record. 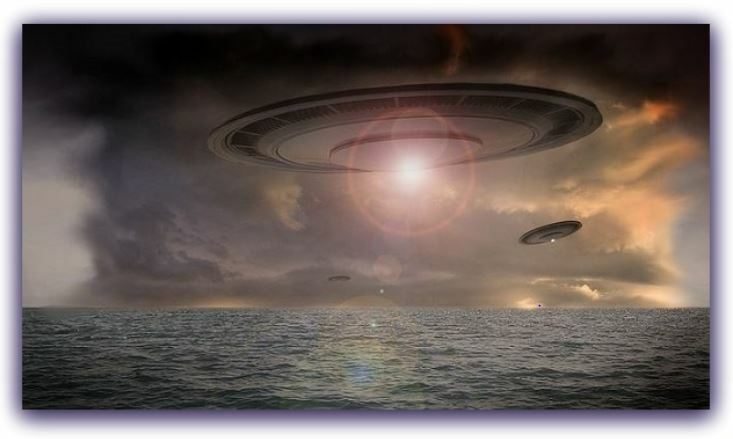 Spanish UFO clubs were chronicling numerous reports of flying saucers and a huge mothership passing across northwest Africa from Morocco to Central Libya during the time that the Air Force bomber had vanished. It also seems that extraterrestrials have shown an interest in the varied activities taking place at MacDill Air Force Base. As early as 1 August 1946, the pilot and crew of a C-47 aircraft reported a “cigar-shaped object with luminous portholes” flying over the then Tampa Army Air Corps airfield. Numerous reports of mysterious aerial objects have accumulated in the files of local UFO groups in the Tampa area over the years. During the 1950s and 1960s, UFO reports especially intensified when MacDill was designated as a Strategic Air Command installation for deployment of the B-47 Stratojet bombers. 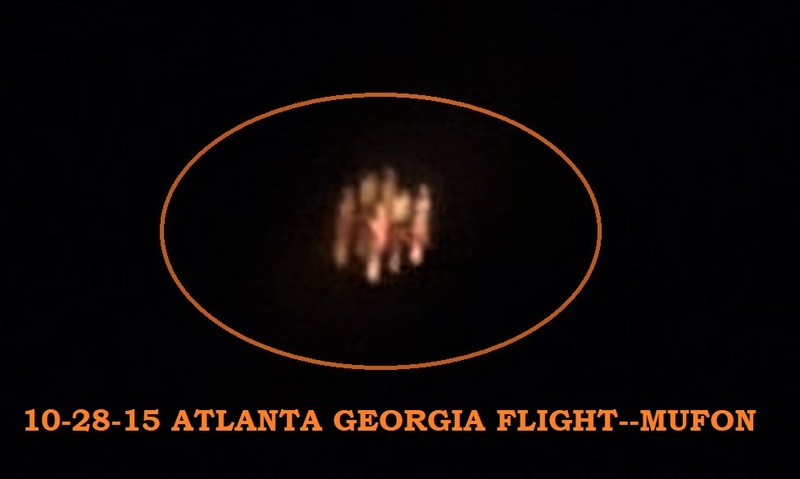 In September 2010, an unusual press conference was convened in Washington, D.C. At this conference, a prominent UFO researcher Robert Hastings and a half-dozen or so former United States military airmen asserted that, “The U.S. Air Force is lying about the national security implications of unidentified aerial objects at nuclear bases and we can prove it.” The military personnel maintained that since the mid-1940s, extraterrestrials in spaceships have not only been visiting Earth but hovering over British and American nuclear missile sites and temporarily deactivating the weapons. Ufologist Hastings, the organizer of the conference, emphatically declared, “I believe — these gentlemen believe — that this planet is being visited by beings from another world, who for whatever reason have taken an interest in the nuclear arms race.” The UFO expert insists that a global conspiracy exists in which all major governments have been covering up evidence of UFOs for decades. NOTE: The above image is CGI. 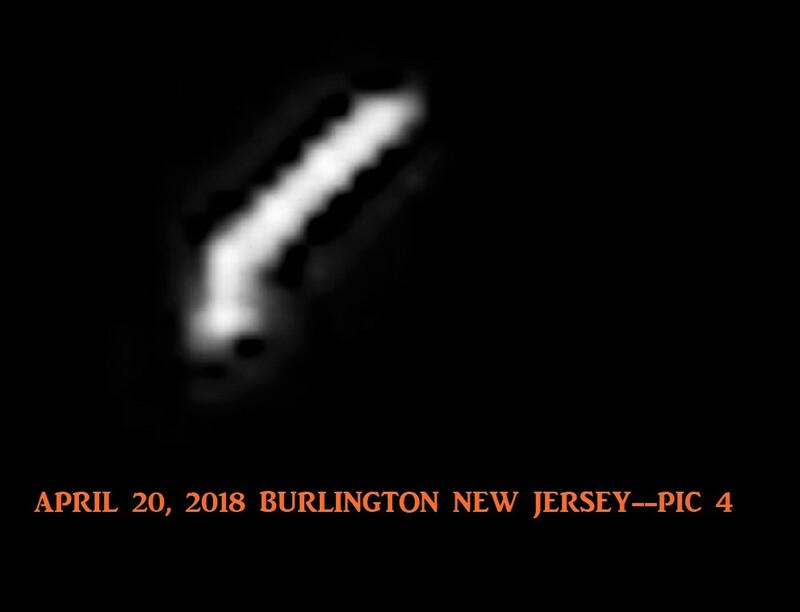 ALIEN TRIANGLE ENCOUNTER IN LITTLE EGG HARBOR N.J.
Was in backyard having a smoke. In the distance to my left plane’s were making runs at Warren Grove bombing range. I looked up and overhead were three lights in a triangle. They randomly came on and off. One dim as a bright star.Another the brightest white light I’ve ever seen in the sky. (These two would come on for awhile then go out.) The third was a long bar of light that just quickly flashed when it came on. There was no sound. And after several minutes the lights just stopped. I couldn’t tell if it was one large object or three separate ones. It shook me up and I wondered if it could be related to the fighters at the range. Decided to report it when I saw an article in the paper about triangles being reported over the Jersey Shore. Warren Grove is an unincorporated rural community that is a part of Stafford Township, Barnegat Township and Little Egg Harbor Township in Ocean County, New Jersey, United States. Its location in the heart of the Pine Barrens makes it one of the most secluded and remote corners of the state. The Warren Grove Gunnery Range is a military bomb practice range. Fighter jets including A-10’s and F-16’s from East Coast Air National Guard units use the area for practice bombing and strafing. Warren Grove is also home to the Pygmy Pine Forest of New Jersey, where the trees don’t grow any taller than five feet. NOTE: The above image is CGI. 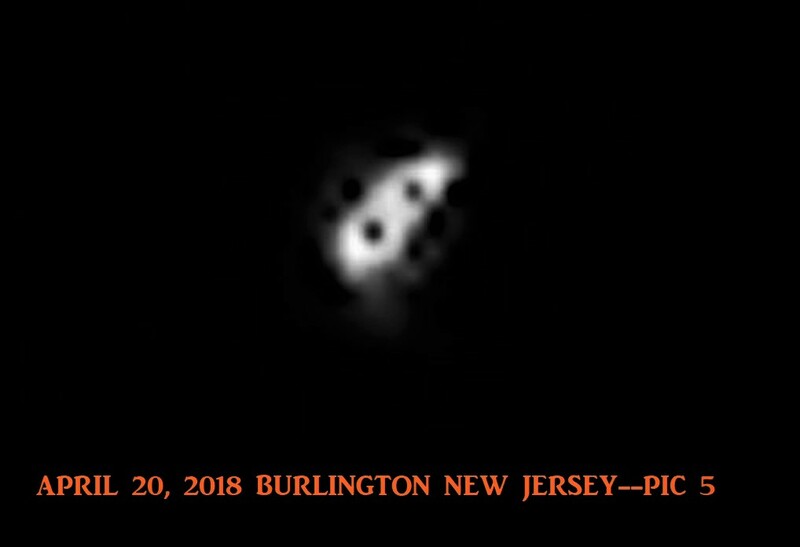 From my back patio I observed a bright pulsating and erratically moving set of four lights that appeared fixed in a gravitational lock while the formation moved up/down, right/left and pulsated many bright blended colors. It moved from the west towards the south maintaining the same average elevation of 15 degrees. My wife saw it with me. It closely resembled similar series of sighting one the late spring and early summer of 2016. I felt excited by the sighting and went inside to get my NIKON D7500 DSLR with 300mm zoom. I got several pictures most of which were blurry, but one is very sharp and captured the object features. There was only 1 sphere shaped object with surface conformal lights radiating in 4 directions. The projection radiated from a rectangular section that was grey in color on the bottom of the sphere. The projection conformed to the surface of the object and looked like the letter Y with the bottom of the Y connected to the corners of the rectangle. See attached picture. I was sitting out front of my house just before 1 o’clock in the morning and I got this strange feeling that something was out there in the sky so I got up to look around when I had noticed this strange glowing ligbt in tbe sky, so I began taking pictures of it because this this was absolutely not a star but it was sitting completely still, hovering in the sky trying ti hide amongst the stars. I got some very interesting pictures. I believe they abducted this very same night. There have been numerous nights I wake up in the middle of the night sitting up with my feet on the floor and the bedroom light on with no recolection of even falling asleep. 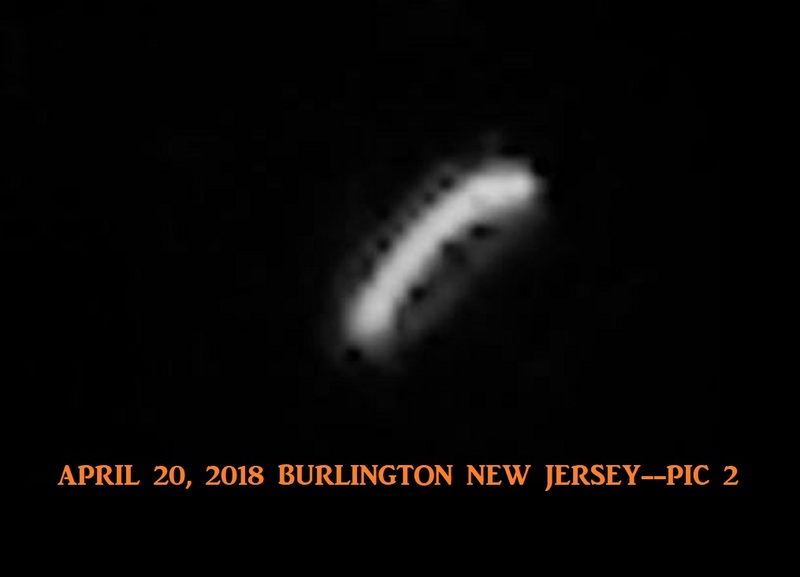 This case is under investigation by State Section Director Jack Nicholias of MUFON New Jersey. I was a Marine in Iraq on a post tower at about 1am Iraq time. Two other marines were in the tower with me and we were watching the stars and talking. In iraq in the middle of the night u can see everything, it seems like u can see every star. There isnt many planes that fly at all. You see are planes and when they get lower there lights go out. Plus u can here them from very far away. We were talking when one of my marine buddies said whats that and pointed to the sky in shock. I missed it, but he said he saw a object brake apart in the sky and that when I began to watch. The now two objects were flying as if they were folowing each other. Nothing much from wat I saw at first untill they would move vertical together in the sky at the sametime, stop in one spot, and then turn to a horizontal path. This would happen many times. Then they would sort of disappear and we would look fro them in the sky and one would appear. Maybe two sec later the other would appear and be away from it and catch up and be right behind it again. They would sometimes fly apart fast and then meetup when they turn back and when they get close enough stop and then move again together. Now sometimes they would go apart from each other and start to do their own thing. Once one of the objects shot up and then made a half circle like turn and then shoot down at amazing speeds. Now we did see at least one plain go by because it seemed as if the objects were goin to fly at it. This really showed how fast they could move. These objects were as bright as the brightest star in the sky. They had a light blue look to them. Once when they were apart one of the objects was flying around when the other one shot into it and they made a bigger obeject. I would say 3 times the size of the biggest brightest star in the sky. 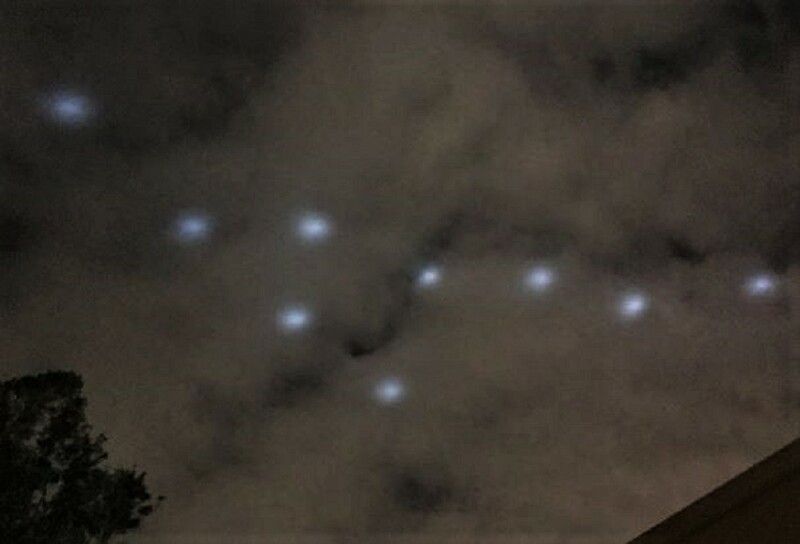 They had like a almost flash when they came togther to be one in the sky. Not some flash in the enire sky, sort of just around them. 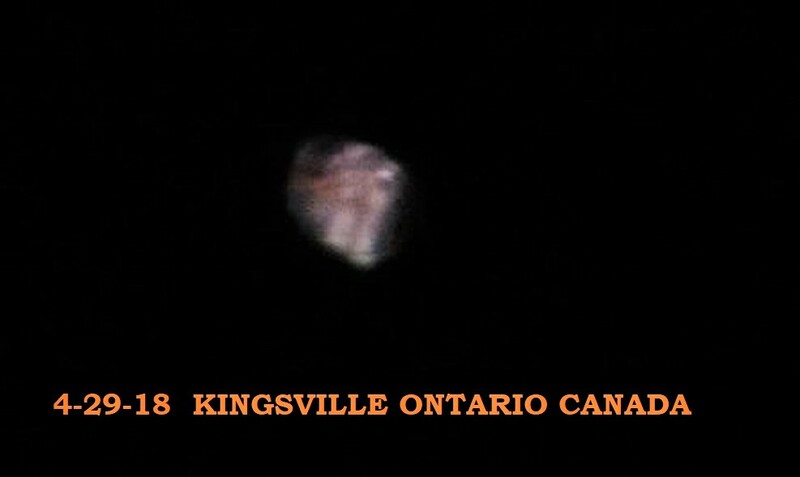 Later after a 15-30 sec time the object broke apart to be two again. That along with this was the most amazing part of the night. At one point when they disapeared and we were looking for the objects we saw one apear in the main area we had been looking at that night, (that area was about 45 degrees up away from us, like you were looking at stars from your roof that were away from your house not just about you) When we were looking fro the other object I saw it at the corner of my eye. I then had to turn my body to see the object. After about a few seconds it shot across the sky all the way to the main area we had been looking at in about one second. 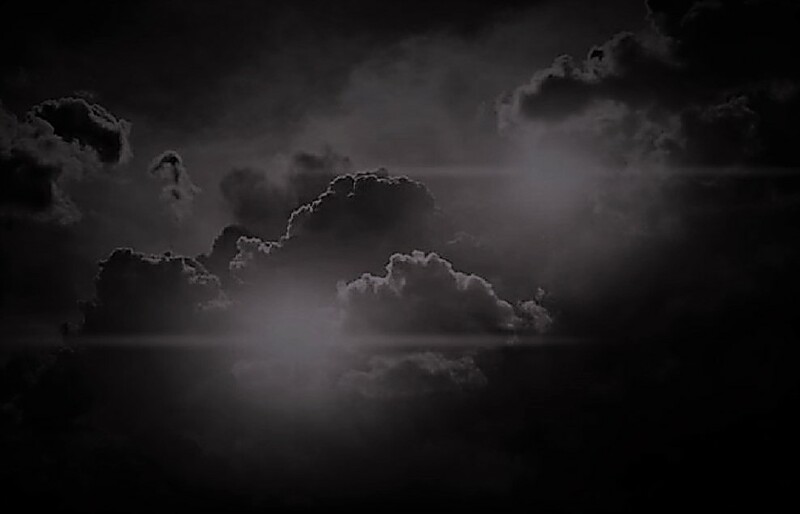 I watched it move across the sky and I had to turn my body back to the orginal spot to see that it had now stoped next to the other obeject and they begain flying together again. This all went on for about 45min. After about 25-30 min, my ssgt, my sgt and two or three other marines showed up. When we began to tell them what we were watched my ssgt started making jokes and thinking we were being stupid and just watching plains or jets. When he came up to the tower his jokes and laughs at us stopped almost the second he saw what we saw. This man never shut up so for something to leave him speachless, had to have blown his mind. He then in a serious voice asked if any of us had a camera (most the time we always had one, and he said ,”Yall always wanna record yourself doin dumb@#$%, but then something like this is in the sky and no one has one!”) We had some marines in the humvee on post below us and im sure they saw some of this along with one of the marines that was in the humvee that my ssgt showed up in. The speeds and the moves that we saw that night are impossible. The three of us in the tower, the sgt,ssgt, and two other marines that showed up, and also the marines on the ground all saw this. We are trained military personal. Some who have been on airbase and seen what jets can do and no jet can do what we saw. No jet can stop and freeze in the middle of the sky or go across the sky at the speeds we saw, plus when they came together. This all is easier to explain in person then just words. NOTE: The above image is CGI. The caller reported that at 2208 hrs. (eastern), she was riding the Staten Island Ferry from the tip of Manhattan to Staten Island. Just as the ferry was passing Governor’s Island, she became aware of a commotion on the east side of the ferry boat. People were rushing to that side of the ferry, shouting, pointing, and generally raising a ruckus. She decided to try to determine was the cause of the disturbance, and walked outside onto the passenger deck. What she saw shocked her. The object was huge, and it obscured the passengers’ view of Governor’s Island. 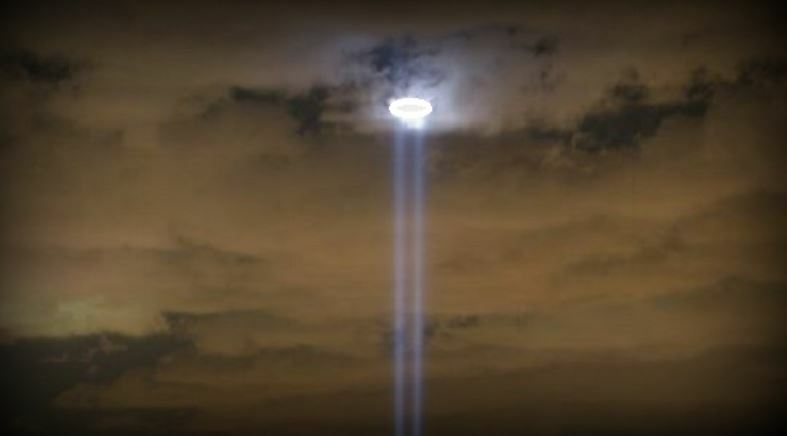 Many of them reported that the object looked like a city, with lights and a skyline. However, its presence apparently roiled the water beneath it, causing a froth to appear on the water’s surface!! For days afterward, the witness handed out leaflets at the ferry terminal, hoping to contact other passengers who had seen the object. Those same people approached 9-1-1 facilities, requesting copies of the tape recorded reports of the object, which was also seen from Governor’s Island, but the tapes were either missing, or not made available, they were told. This incident apparently was VERY dramatic, and it was witnessed by dozens, or perhaps hundreds, of people. – NUFORC NOTE: A senior medical care executive called to discuss events re 09/15/95 sighting in NYC harbor. Many other responsible witnesses found, according to NUFORC. In the F.Y.I. section of the New York Times, dated October 24, 1999, the following information was published in reference to to a reader question “Have there been any major U.F.O. 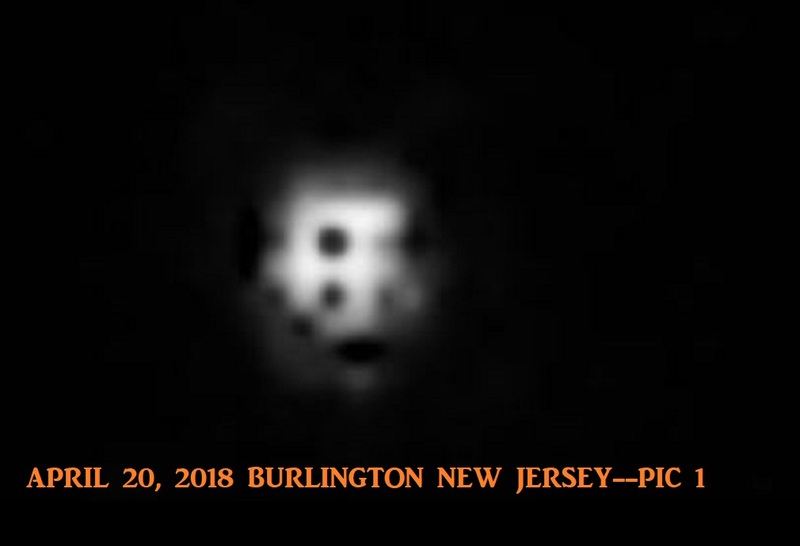 sightings around New York City in recent years?”: According to Mr. (Peter) Davenport (NUFORC), the first occurred aboard the Staten Island Ferry on Sept. 15, just after 10 P.M. As the ferry passed Governors Island, he said, people began rushing to the port side, entranced by an object to the left, between the ferry and the island. Sylvia Mok, a Wall Street proxy manager, said she was aboard the ferry that night, and saw a blazing white light shining through the window. ”At first I thought we were passing too close to a big ocean liner, so I went outside to see,” she said. ”I look up and there’s a city floating on the sea. There is no movement of water. The city was laid out in blocks, and had buildings at one end, lit up. But no one was there. There was something insubstantial about it. It appeared to be more of a…whirling shape.” Ms. Mok said 75 to 100 others watched the ethereal floating city from the upper deck, but only a handful of fellow passengers were willing to corroborate her account later. “Within 24 hours, doors started slamming in my face,” she said. NOTE: The above image is CGI. All of a sudden I lost Sonar Contact like it was never there, but CIC still had it at last bearing with an abrupt positive altitude change. The chatter was look at the size of that thing. 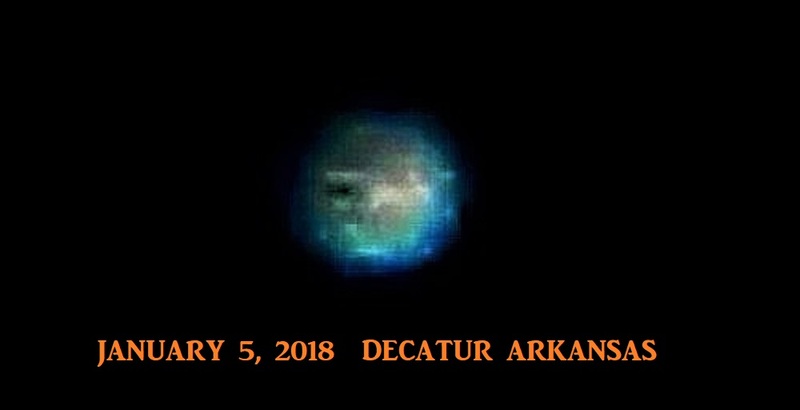 I went outside through the sonar door on the Port Side and visually saw a large moonlike shape that flew upward over the ship at a 60 degree angle and disappeared into the sky in seconds. I heard no noise from the object when it went over us. I saw a full moon that night on the other side of the ship, but it remained fairly constant give or take a few ship rolls. When we pulled into port a few weeks later, all records in the Bridge, CIC, and Sonar logs about that time were torn out. Whoever tore them out made one error, the pen imprint on the next page was still there. No one spoke of the incident again. The F-14 went to full afterburner right off the deck, pulling a rooster-tail7 behind it. It rattled the ship severely as it went by. This USO thing pulled easily ahead of the jet, crossed the horizon in seconds while underwater… no visible wake. It just… I mean this thing was FAST. Well, we just stood there. Wow, you know… what do ya say. We speculated about what it was. Guam told us it was a classified matter not to be reported or discussed. NOTE: The above image is CGI. On Sept. 1996 . Me and my friends, a couple of hundred people plus the local police plus army forces witnessed an amazing ufo. I have been carrying this story for years now and always wanted to post it on ATS but was too lazy to type it. Two hours ago I found by mere chance a report describing my exact incident and that made it easier to share this story without feelings like a total fruitcake. I`ll get straight to the point. I am a 34 yrs. Israeli business men who currently lives in Tel –Aviv. (My army training involved recognizing, spotting and targeting Aerial objects –mainly Russian made – for the intelligence core). I am telling it to you exactly as I saw it, and no I do not make this up – so excuse me that it came out so loooong: At about 2 a.m. on Tuesday, September 17, 1996 I was driving back from visiting friends in tel-aviv, driving on the main northern exit from the city. A few k”m up the road I came to a big intersection called “ramat-aviv junction” As I approached the junction I realized that something is not quite right with what I was starting to see. All across the x junction, were parked cars, scattered right between the traffic lights , facing in all directions (opposite to driving direction , on the curbs , on the pedestrian zone etc.). My first reaction was “oh a trance music party just popped!” (those were quite common back then in Israel ). I drove slowly to center of the junction and then I noticed that the street is full with people of all colors and ages looking upwards in total silence. (That was very eerie). at that time I had a Volvo Model 960t with a sun roof so I just sat and looked up through it . What I saw is still fresh in my memory after all those years. About a 150 meters east of the junction there are bunch of residential buildings (About 15 story high). In front of one of the buildings about the 14 th floor hovered something which looked like a bright star as big a little truck. The best way to describe it is – a bright star – which is moving in a frenzy To almost all directions at once, changing hundreds of colors in a millisecond (from blue to green to orange to even what seemed like gold and silver). The object was clearly in front of the building, and while emitting “rays” of light all over it did not project on the building behind it . The object was “making a show” for us …moving up and down like a crazy firefly. I could not take my eyes of it . and nor could I make a sound . 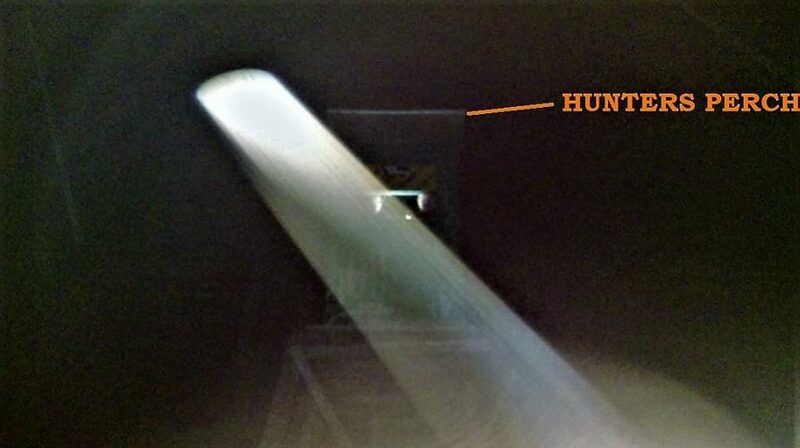 Suddenly in a blink of an eye, the object “leaped” about 50 meters upwards and vanished behind the building only to re-appear a second later pointing further to the east. As soon as the object got further away from us – many people jumped in their cars and shouted “lets chase him!” , and drove madly after his flight course further to the east . I geared my car and said to myself I gotta get my friends to see this or they would never believe me. I drove In ridicules speed about 9 k”m to the north to my friend’s house, grabbed them out of their beds and hurled them to the car, we drove Back to “ramat aviv” junction, two ladies were still standing there, we asked them bluntly “which way the ufo went?” and they pointed east. We turned east and drove another 2.5 k”m until we reached one of the bridges that are crossing the “ayalon highway”. (kakal bridge), the bridge ( a 3 lane from each side type) was already full of people , border police , Light army units, and even tv crews! The crowd faced north, we dumped the car on the sideway and run to the ledge of the bridge , and looked north as well. We saw the “bright star” hanging about 60 meters above the traffic, as if it was a lamp hanging from a ceiling. 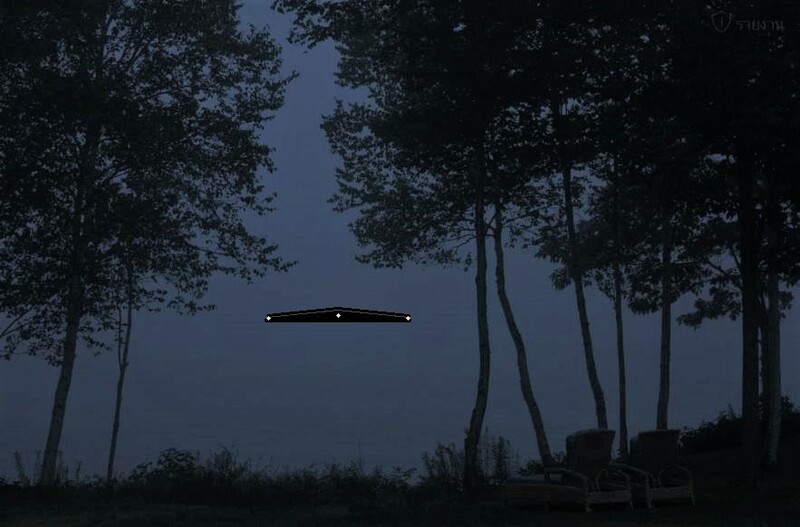 This time it was bigger, it didn’t change color, and was just hovering silently. This continued for a few minutes. I stood about 20 meters from an army jeep and I saw the border police soldiers (about 6 of them) pointing their guns towards the object. Then I heard the officer say to one of the corporals “tell them not to do anything (with the guns) ..”. An NCO that stood by said: “What are you trying to do? Start the war of the worlds?” (it was NOT a women like the below report say). A few minutes later the object suddenly sprinted up and away like that fastest rocket I have ever seen. Until it became a bright RED star. Me and my friends hanged around for a couple of cigarettes, looking up , than the RED STAR made a sharp right turn and vanished. 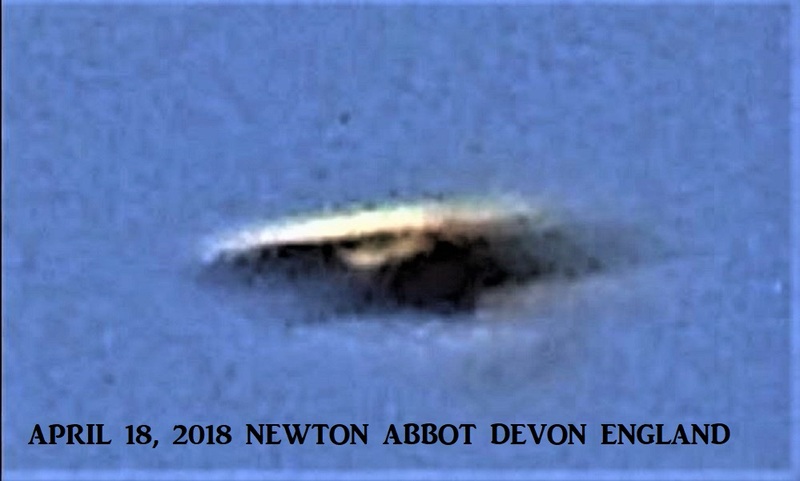 The next day the main newspapers covered it and the headlines said: ” a ufo in tel aviv`s sky ” and described about 15% of what really occurred . The chief of police said it was ” a kite that had a stick light attached to it…or probably a children`s hoax” (Yeah right, during my army service I could spot the rear light of a bell 206 a cobra or a mig 27 from miles away with no night goggles ….I am pretty sure this wasn’t a kite.). 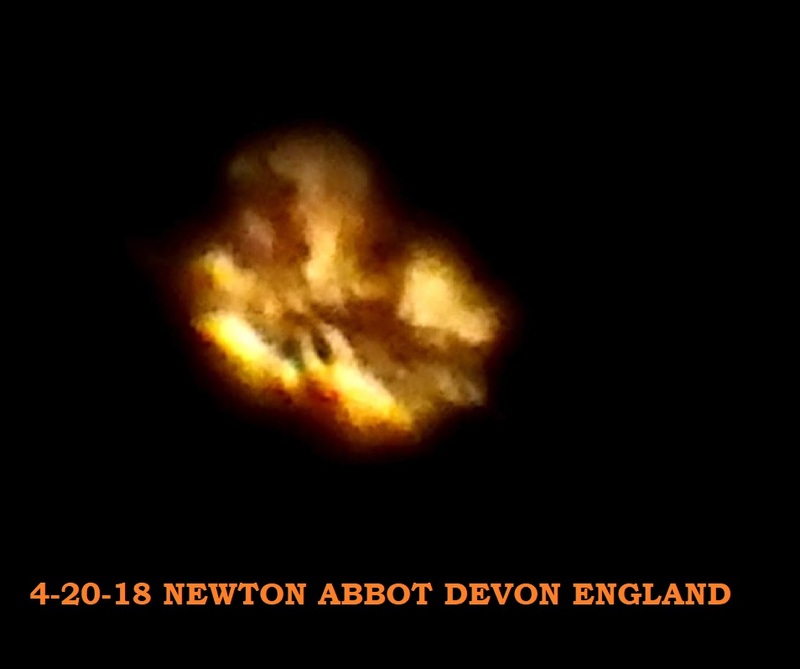 This was a very public sighting and a very direct ufo encounter-but strangely enough – it almost has no records on the net. The only difference is that I saw it with my own eyes . P\s I wasn`t aware of the ufo subject at all at that time ! . 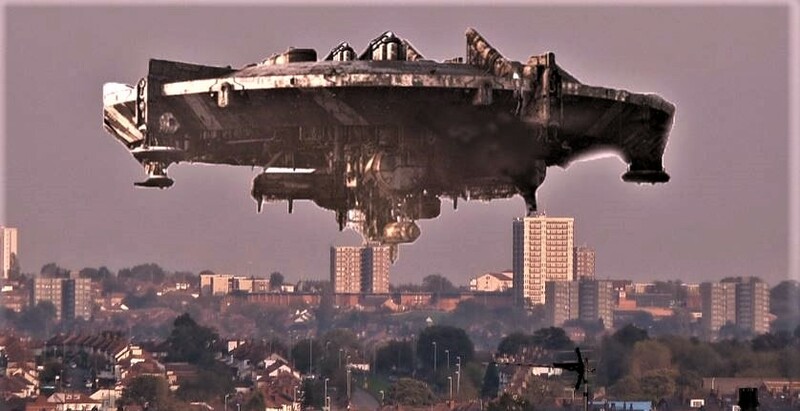 This is the report I found on the net today: HOVERING UFO CAUSES TRAFFIC JAM IN TEL AVIV At 2 a.m. on Tuesday, September 17, 1996, traffic on High Road in the Ramat Aviv section of Tel Aviv, Israel came to a sudden stop as motorists abandoned their cars to watch a hovering UFO. Tel Aviv police received dozens of calls about a “light-emitting UFO” doing aerial loops over the northern end of the city. According to the daily newspaper Ma’ariv, police spokesman Gadi Doron said officers reported seeing “a strange light in the night sky,” along with hundreds of motorists at the scene. As the onlookers watched, a soldier of the Border Police offered to shoot at the object. Other members of the crowd disagreed vehemently. One woman said, “What are you trying to do? Start an interstellar war?” About an hour before dawn, the UFO stopped “doing tricks” and headed east, parallel to the Avenue Shaul Hamelech. Enthusiastic motorists attempted to follow in their cars. Then the UFO reversed direction, flew back to Ramat Aviv and gradually disappeared. In their story, the newspaper Ma’ariv listed 16 recent UFO incidents in Israel. NOTE: The above image is CGI.